Renting a display is an opportune alternative to purchasing one and a great way to safeguard cash flow. It is your chance to try it before you buy it. Opt for a complete exhibit display or just lease additional accessories to enhance the meaning of your existing exhibit booth. We comprehend that not every company has a custom exhibit but appearance still matters to you and your clients. CSI etc. provides a wide variety of pre-designed event displays that can adapt to any size space. Please view the Exhibitor Service kit for selection and prices on our exhibit rentals. If you have any further questions please contact our Exhibitor Services Department. CSI etc. is committed to focusing on your goals. Whether your graphics needs are straightforward or multifaceted, we offer a collection of services from designing and printing to finishing and installing your graphics. Every step of production is made to order to your needs. Our graphics department produces a wide selection of custom signs including full color graphics and vinyl banners. We offer an assortment of sign holders for display in addition to larger Agam structures for meter boards and entrance signage. Ask us about our mixture of signage options. Please view the Exhibitor Service kit for selection and prices on our signage and graphics. If you have any further questions please contact our Exhibitor Services Department. Clients from nearly every trade turn to CSI etc. for all their trade show and furnishing needs. From the simple to the awe-inspiring, our collection of furnishings will adapt to any size, venue, and cost. Combine that with our enthusiastic steadfastness to service you’ll find out that when you align with CSI etc. your Dream is an absolute reality. Furnishing your dream is unproblematic with our specialty furniture inventory. From the new fabulous leathers to glow, as well as our very refined Manhattan and Windsor lines, if you are looking to make your dream come alive, CSI etc. is here to help you create a truly unique look. To view our selection of specialty furnishings. Please call our Exhibitor Services Department. CSI etc. 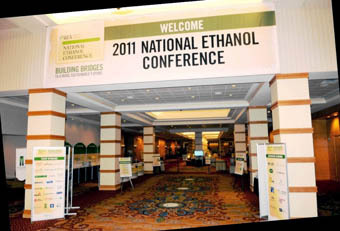 offers a limitless selection of trade show furnishings. If you don't see it, just ask! Our professional team of dedicated account executives is on call and ready to assist you with the answer to all of your furnishing questions. Let your attendees view our online catalog to find representative furnishings that will flatter your booth design and produce an impressive display. CSI etc. has teamed up with national freight carriers to offer a special rate for shipping your exhibit to and from the show site. CSI etc. Specializes in well-timed loading and unloading, as well as transportation and storage of materials. Material handling includes unloading of your exhibit material at the warehouse (see important information regarding warehouse shipments below) or at show site, delivery of these properties to your designated exhibit location, storage and return of your empty containers (includes crates and skids) and loading of your exhibit material onto your designated outbound carrier(s) after the event. Please view our Exhibitor Service kit for Material Handling and Freight Quote. If you have any further questions please contact our Exhibitor Services Department. Will your prospects be willing to leave the aisle carpet to step onto the concrete floor in your booth? More than any other display fixture, booth carpet provides the image and unity of expression that make trade show marketing work. We have a wide inventory of carpet, including traditional and plush selections - both available in a wide variety of colors. Please view our Exhibitor Service kit for our selection and prices for carpet and drapery. If you have any further questions please contact our Exhibitor Services Department..
General vacuuming of the show floor aisles is provided, however, cleaning of your exhibit area is not included in your exhibit space rental. All carpets ordered from CSI etc. are installed clean for your use, however, you may order cleaning services for debris created during set-up and show hours. Please view our Exhibitor Service kit for our cleaning services and pricing. If you have any further questions please contact our Exhibitor Services Department. Add a friendly touch to your exhibit with the extraordinary addition of floral. We offer flowers, plants from 1’ to 25”, and floral arrangements. All designed to draw attention to your display and make it a warm and engaging place to be. Please view our Exhibitor Service kit for our selection and prices for Floral. If you have any further questions please contact our Exhibitor Services Department. Our understanding and experience allows trade show and exhibit managers the flexibility to attend to other aspects of the show. We recognize that your time is not best spent standing on the show floor with the install team making sure your exhibit is accurately put together. 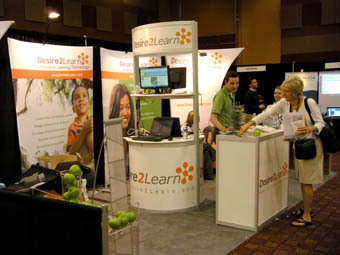 Our team will competently install your exhibit so you can spend less time on the exhibit floor. We are a broadening of your team, paying attention to every aspect that is imperative to the accomplishment of your event. Our foreman will work closely with you and your team to synchronize every logistical aspect of your labor to deliver picture perfect results. We have assembled the most skilled and devoted team and time-honored interaction with some incredible talent in the industry. Our knowledgeable team will take control and make the right show site decisions. Please view our Exhibitor Service kit for our installation and dismantling prices. If you have any further questions please contact our Exhibitor Services Department. 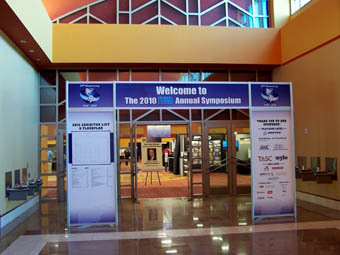 CSI Logistics is your "one stop shop" when it comes to long term exhibit storage of your trade show displays. 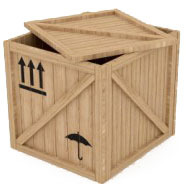 Our storage services enable us to provide a turn-key solution for your exhibit storage. Our Customers find that our warehouse facilities are the ultimate stowage solution for the supervision of their trade show and event exhibits. 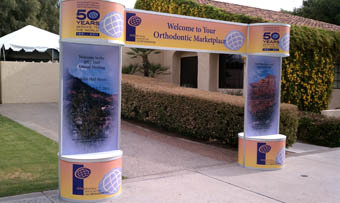 Arizona is an excellent setting to store trade show displays. Our location is opportune for both eastbound and westbound major trucking lanes. At CSI Logistics, we concentrate on sustaining secure, consistent and reliable solutions for all of your exhibit storage and shipping needs. Our meticulous procedures and practices ensure that your exhibit display is shipped and ready to install at show sites around the world. 50 Inches X 50 Inches X 100 Inches Divided by 250 = 1000 lbs.